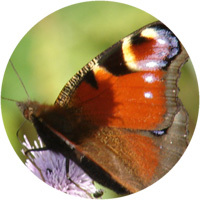 Peacockmedia has existed since June 2000, initially supplying web services as well as creating software for Mac but soon specialising in software for crawling / automated checking of websites. Among our popular titles is Integrity, the best free link checker for Mac. We are a small development, support and publishing team based in the middle of England. While many developers move to iOS, we love and remain committed to Mac OSX, or MacOS as we should now call it. We pride ourselves on top-notch support. If you have a suggestion, bug or need help with any of our software, whether a trial or licensed user, please see Software support for FAQs, manuals and contact details. Personal thoughts and musings as well as tutorials and updates about our software at this website's blog. We are a paid-up member of the Association of Software Professionals and adhere to its code of conduct. new stuff for old stuff is a product directory of new games, hardware, software and books for users of 80s 8-bit computers.